Jason began the Ph.D. program at Baylor in the fall of 2014. He received his undergraduate degree from Carthage College with All-College Honors in Great Ideas and English. He received the Carthage College Humanities Division Best Research Paper Award for a study of Shakespeare’s Twelfth Night. In 2013, he devoted a year of national service to AmeriCorps’ City Year Detroit as an assistant 10th grade English and Civics teacher. 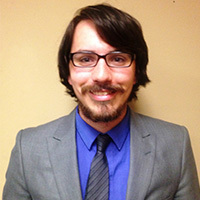 Currently, he is completing a master’s thesis on Plato’s Laches under the supervision of Dr. Timothy Burns. Jason’s research interests include: Classical Political Philosophy, The History of Political Thought, Politics and Literature, and International Relations Development and Theory.